During every cycle I have a few stocks that I use as “go to” plays over and over again. I’ll keep taking the same trade in a stock until it stops working. 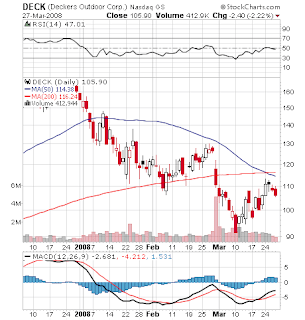 Recently, DECK has been one of those reliable stocks and looks to be failing at resistance.